1Most definitely. The Earth has evolved to a point where she is ready to move to a higher frequency dimension. This is a normal evolutionary step for all life in the universe. This process is called Ascension. The dimension is the 5th. Everyone and everything ascends when their energy vibration reaches a specific frequency of Light. 3HOW DO I KNOW I AM HELPING? 4DO I NEED ALL THE DETAILS TO PLAN MY WORK? 5DO I NEED TO ATTEND LOTS OF WORKSHOPS? 6IS IT NECESSARY TO WORK ON FORMING A LIGHT BODY? 7AM I WHERE I AM MEANT TO BE? 8HOW DO I KNOW IF MY EGO IS IN CONTROL? 9HOW DO I KNOW IF I AM LINKED TO A NEGATIVE ENERGY? 10HOW DO I RECOGNISE TRUTH? 11WHY AM I LOSING MY MEMORY? 12WHY IS MY EYESIGHT AFFECTED? 13I DON’T SEEM TO GET EVERYTHING DONE? 14ISN’T IT SELFISH TO DO WHAT FEELS RIGHT TO ME? 15HOW DO I STOP THINKING ALL THE TIME? 16HOW DO I STOP EMOTIONAL CHAOS IN MY LIFE? 17HOW DO I GET INTO MY HEART? 18HOW DO I LEARN TO LOVE UNCONDITIONALLY? 19WHO WILL SHOW ME THE WAY? 20HOW DO I ENSURE I AM CONNECTED TO HIGHEST LIGHT? 21DO I NEED TO BE ABLE TO CHANNEL? 22HOW DO I ACT AS A MASTER WHEN I FEEL LIKE A VICTIM? 23HOW DO I RECOGNIZE MIS-INFORMATION? 25SO WHAT DO I NEED TO DO? 28Help Gostica raise the vibrations and SHARE this article with your family and friends. Most definitely. The Earth has evolved to a point where she is ready to move to a higher frequency dimension. This is a normal evolutionary step for all life in the universe. This process is called Ascension. The dimension is the 5th. Everyone and everything ascends when their energy vibration reaches a specific frequency of Light. There are many different forms of life upon Earth, e.g. humanity, animals, minerals, trees, etc. Anything that lives within the natural flow of Divine Order will have a similar band of vibration to the Earth and as such can automatically ascend with her. An example of living in Divine Order can be seen in the response of plants and animals to the different seasons. Everyone on Earth is deciding now, on some level, whether they choose to align with that Divine order and so ascend to the 5th dimension or if they wish to continue their learning in the 3rd dimension. Third dimensional learning involves experiencing many different situations to help teach us greater wisdom and love. Anyone involved in this learning, such as humanity and some animal species, are at different points of vibration, depending on the learning attained. Living positively creates a high level of vibration. Negative patterns, such as fear, create a lower vibration. I DON’T KNOW WHAT I AM SUPPOSED TO BE DOING!! You don’t need to know what you are doing! It is not part of the contract! It is usually the mind or ego that wants to know the details and significance. Spirit is content to surrender to Divine Order, simply doing what feels right, without hesitation, in total faith and trust – and moving on to the next exciting moment. If you have a desire to help – even if you don’t know what form that help may take – the answer is yes. HOW DO I KNOW I AM HELPING? If you are doing what feels right, regardless of what it is – you are helping. Providing it resonates, you are doing what you came here to do. Interest, excitement and what resonates and feels right deep within – will show your right path, moment by moment. Trust your gut feeling. DO I NEED ALL THE DETAILS TO PLAN MY WORK? Only if it feels right and excites you. When we surrender and use intuition, we don’t generally need much of the detail and significance that make up our 3D world. If you do need details or need to ‘think it out,’ it will feel right in the moment to do that. This is quite different to working it out through the mind because you think you have to. If you are meant to do something that needs a particular energy, such as an eclipse or full moon energy, then providing you plan intuitively – that will be present. Mostly, you could go ahead and plan without ever knowing there was to be a full moon that day. However, there will always be exceptions. It could be, for some Divine reason, you do need to know there will be a full moon that day. If so, that will feel right! Generally, if you have planned intuitively, then everything that is meant to be there, will be there. Some Lightworkers tasks do involve significance and detail. Remember a feeling of rightness is senior to anything – even statements by ‘authorities’ or ascended masters. DO I NEED TO ATTEND LOTS OF WORKSHOPS? Whether it is a workshop, a book or anything else, if it excites you – do it. If it doesn’t – don’t. Just because it helped someone else, doesn’t meant it is right for you. Your indication of excitement is your path. IS IT NECESSARY TO WORK ON FORMING A LIGHT BODY? The vast majority of Lightworkers already have a Lightbody. You left it stored ‘up there’ until it was needed. You are in the process of integrating it. If by any chance you don’t already have one, it is being created. Recommended: Becoming a Crystal Human, Do You Have These 11 Symptoms? This is part of the balancing that takes place for ascension. You don’t usually have to do anything in particular. It happens naturally, as you re-adopt your mastery. As you surrender to Divine Order, it just happens. Well, check it. Ask yourself ‘If I could be anywhere in the world doing anything I want, right now, where would I be?’ If your answer is ‘right here doing what I am doing,’ then you are following your intuitive guidance in that moment and you are where you’re meant to be. HOW DO I KNOW IF MY EGO IS IN CONTROL? If you are looking around to see who has noticed, that is a pretty good indicator! You could also ask yourself, ‘If I never tell anyone that I am doing this, and no-one is ever going to know, do I still want to do it? Give yourself a truthful answer. HOW DO I KNOW IF I AM LINKED TO A NEGATIVE ENERGY? You have a great gift – it is the ability to sense when a situation or someone, does not feel right for you. Be aware of your initial feeling and trust it. No matter if the whole world thinks that that this presenter, technique, book, product or guru is simply the best, trust your intuition every time. You could save yourself untold anguish! A lack of confidence in yourself and a failure to trust your own knowing can really land you in hot water! HOW DO I RECOGNISE TRUTH? Your heart tells you – every time. All you need to do is trust your intuition when it speaks to you. As you read or listen to something, note if anything does not feel right. It could be just a word or a sentence. Don’t dismiss your feelings….. never accept something that feels wrong. Because you are leaving the 3D world where one uses memory in order to know something. You are heading for the 5th dimension where KNOWING is the way to operate. Your memory is disappearing to encourage you to use your ability to respond intuitively. It is time now to simply know what you need to know in any given moment. Losing your memory is a positive happening! It affects all age groups. It applies particularly to Lightworkers who have been here a long time. Everyone wanting to ascend has to bring all aspects of themselves into balance, in order to attain the right frequency of vibration. This includes merging with your I AM Presence (which is the non-incarnated part of you). Your eyesight has to adjust and it can become difficult to read small print in bad lighting. (Other types of eyesight problems will have a different reason). Just buy a pair of the lowest magnification glasses until this adjustment is completed. It may take a while. This depends on you. The more positive you are, the faster your I AM can merge with you. The more the I AM merges, the more help you are given to be positive. I DON’T SEEM TO GET EVERYTHING DONE? You are leaving the 3rd dimension and ‘time’ – and are heading to the 5th dimensional realm of the ‘eternal moment.’ There is no time in the 5th, because it is not required for 5th dimensional learning. As the Earth moves to ‘no time,’ her frequency increases and she ‘loses’ time. We have now lost 6 hours and 54 minutes on a day. This, combined with the fact that you try to do things you think you ‘should’ and ‘need’ to do, is the reason you are not getting it all done. Cancel all the shoulds, musts and needs in your life. Do only what feels right. It may not always feel exciting and it may not always be pleasant, but it will feel right to do it. Sometimes our emotions and thoughts get in the way and confuse us. Put these reactions aside and check if it ‘feels’ right. ISN’T IT SELFISH TO DO WHAT FEELS RIGHT TO ME? No, it is selfless. There is only one Divine Order. Everyone who operates within its natural flow is in the right place, at the right time, giving the best help they can in that moment. Have courage and trust that, despite reactions others may have, your actions are also right for them (as indeed their actions are for you, if they are operating intuitively). Perhaps their response comes from their mind or ego. Perhaps you are helping them bring their emotions to the surface. You don’t need to know the why. Just do it, let go of any expectations of what you think should happen and carry on with what feels right in the next moment… and the next……and the next. HOW DO I STOP THINKING ALL THE TIME? Take 10 minutes a day when you won’t be disturbed. Become still. Whenever a thought comes into your head – say CANCEL. Continue to focus on the silence. Don’t give a seconds of your attention to any thought. Don’t relax your discipline. Do this every day until the mind realizes it is no longer in control. The mind will become quiet, responding only when called upon by you – Spirit. It doesn’t have to take long. HOW DO I STOP EMOTIONAL CHAOS IN MY LIFE? Spot your lessons early. If you react to a person or situation, be are of it and let your reaction go. If you don’t let it go or you fail to notice your reaction, you will continue attracting tougher and more traumatic situations, until you get the message! Spotting it early means you don’t get into horrendous traumas! Don’t bury or suppress your emotional reaction. If you do, you’ll have to create more situations to bring them to the surface again. HOW DO I GET INTO MY HEART? Get out of your head and ego – and there is no place left to go. Well OK, it is a matter of discipline. Do spot checks on yourself. A few times in the day, ask yourself ‘Am I in my head or my heart?’ If you see that you’re thinking about what to do – stop, take a deep breath and move into your heart. Ask yourself what you would like to be doing in that moment? What would make your heart sing and not sink? Then do it. Or at least put the steps into motion to start doing it. HOW DO I LEARN TO LOVE UNCONDITIONALLY? Be aware every time you criticize, judge or condemn anyone, including yourself. And stop doing it. Apply the discipline necessary to demand from yourself, a positive, loving outlook. You are shown signs in the everyday events of your life. All you need to do is be in the present moment in order to see them. If you are ‘spaced out’ or too ‘grounded,’ you can miss what is happening in front of you. There are no leaders. 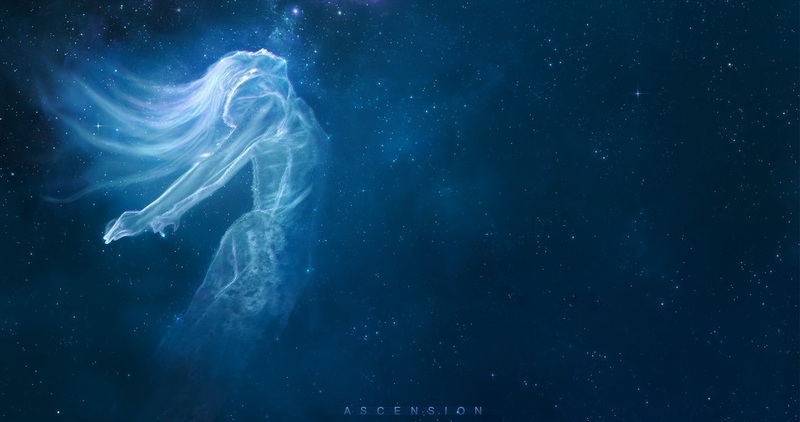 The process of ascension requires a regaining of inner mastery. For this reason, you are encouraged to seek your own inner truth and be your own leader. Remember the Wizard of Oz and ‘follow the yellow brick road’? The answers are found within. If you understand this, you will not feel called to hand your power over to guru’s and leaders who we think are better than us. Often through a lack of self-confidence, we hand our power to someone we believe may be helping. In this way, we hope that at least then we will be helping. Handing our power over can be as simple as adoring a photo of someone and ‘thinking’ your energy in their direction. Be aware of the links you make – some are not what they seem to be!! Your first inner gut reaction shows you. HOW DO I ENSURE I AM CONNECTED TO HIGHEST LIGHT? “By Divine Decree, In the Name of God, I invoke the Sacred Violet Flame, to transmute in this moment – every thought, link, alliance, connection or allegiance to any negative Being, energy or object – that I have made – knowingly or unknowingly – in this Universe, where this is not in accordance with – the Highest Source of All Creation and the Divine Plan for Earth. I AM’ now fully aligned in all my lower and higher bodies to – the Highest Source of All Creation. I give permission under Universal Law, for any and all sacred codes and mathematical programmes that I am responsible for, that I carry, have carried or will carry, to be brought NOW into a state of purity in accordance with Divine Order and to be held in such a state forever, in accordance with Divine Higher Will. So Be It. It is done.” You will need to say it 3 times. The easiest way to stay free of non-optimum connections is…. never doubt your ability to know what is right for you. DO I NEED TO BE ABLE TO CHANNEL? Everyone is a channel of Light and healing in some form. Regarding channelling specific material from the ascended realms, if this was a part of your agreement then, ego aside, becoming a channel will resonate with you. If all the planet’s billions of people were meant to channel as a pre-requisite to ascension, we might be here for another 26,000-year cycle! If you are meant to channel, then you will already be trained for it (as were all Lightworkers for their particular jobs), so you won’t need to go somewhere to ‘learn to channel.’ Although channelling appears to have some glamour attached to it, it is just another job. It doesn’t mean someone is more evolved or special. If channelling is addressed with humility, surrender and service, then a high level of truth can be brought through. If these qualities are not present, channelling can be distorted as it is filters through the lower bodies. Recommended: Who Are The 144,000 People Mentioned In The Book OF Revelation, Chapters 7 & 14? Because there was no original agreement made with the higher realms, people who channel from an ego desire, often encourage lower dimensional beings who profess to be from higher dimensions. We all ultimately learn the value of following what truly resonates in our heart to do. Therein lies the joy. HOW DO I ACT AS A MASTER WHEN I FEEL LIKE A VICTIM? Stop feeling like a victim. What is left is the alternative – a Master. HOW DO I RECOGNIZE MIS-INFORMATION? If you feel something isn’t right, it isn’t! Trust your inherent ability to distinguish the difference. Nothing is more reliable than your own inner guidance. Trust it with all your heart and soul. Be your own counsel. If you perceive a negative energy, you don’t need to also decide that this energy is good or bad, right or wrong. That is a third dimensional belief pattern of judgement. This occurs when it is completely right in Divine Order. You don’t get whisked out of here at an inappropriate moment. It is not something that is done to you! Ascension is a do-it-yourself affair. You go when you are ready. For ascension to occur you will have completed what you came to Earth to do. Any dense energies in your emotional and mental bodies will have been transmuted into a higher frequency. You will be in balance. Your outlook will be one of joy, harmony and peace. You will not still be making statements like ‘When the heck do I get out of here!’ and ‘I hope this is my last physical incarnation!’ Your desire to leave will be equal to your desire to remain. When all this is in order, you may find yourself ascending with your Twin Flame and heading for the ‘completion of mission’ banquet! Be yourself. This means LET GO of everything that is not YOU – all the barriers you have erected, all the beliefs, justifications, criticisms, judgements, negative thoughts, unwanted emotions, the ‘shoulds, needs and musts’ and the effort you put into controlling your life. The idea of letting go or surrendering control can bring up fear in us. But there is nothing to fear. You don’t lose your identity and become absorbed into some great unknown! Surrendering means you are more in tune with the consciousness of the universe. This helps you act with a deep understanding of what is best for whole Self. The real you – Spirit – has a caring, love and depth of compassion that goes far beyond what you experience though your emotional body. Surrendering brings an ease and joy to life that will make you wonder why you didn’t do it earlier.